More than thirty five years of working with children and families, as teacher, counselor and supervisor in a variety of settings, gives Elaine Wittmann a rich understanding of the human experience. More than twenty five years of specific study in counseling provides Elaine with the knowledge and skills to address a diversity of human problems and to appreciate the strengths that individuals and families bring to counseling – to cope, to heal, and to grow. Elaine is a Licensed Professional Counselor Supervisor, a Nationally Certified Counselor, A Registered Play Therapist Supervisor, and an Approved Clinical Supervisor. 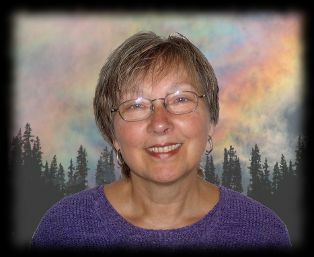 She has experience and credentials in working with children and families around issues of transition, trauma, loss – through death, foster care, adoption, or changes in family structure, abuse and neglect, and working with systems. Elaine also has an interest and experience working with a wide variety of neurological disorders, and an interest in working with women across a lifetime. As a Registered Play Therapist Supervisor with twenty-five years of training and experience in Sandplay/Sandtray, Art Therapy, and many creative-expressive methods, Elaine is able to offer these models to children and adults alike. The use of dreams in therapy is also utilized. Elaine uses an integrative model of counseling that respects the client’s ability to grow in a relationship of support, and recognizes the universal nature of strengths and problems. The use of the creative process is honored.